The first time I tried Tres Leches Cake at a Cuban restaurant I fell in love. A sponge cake soaked with sweetened milk and topped with whipped cream? It sounded like a dream to me and it tasted like one too. Tres Leche Cake is also called three milk cake. 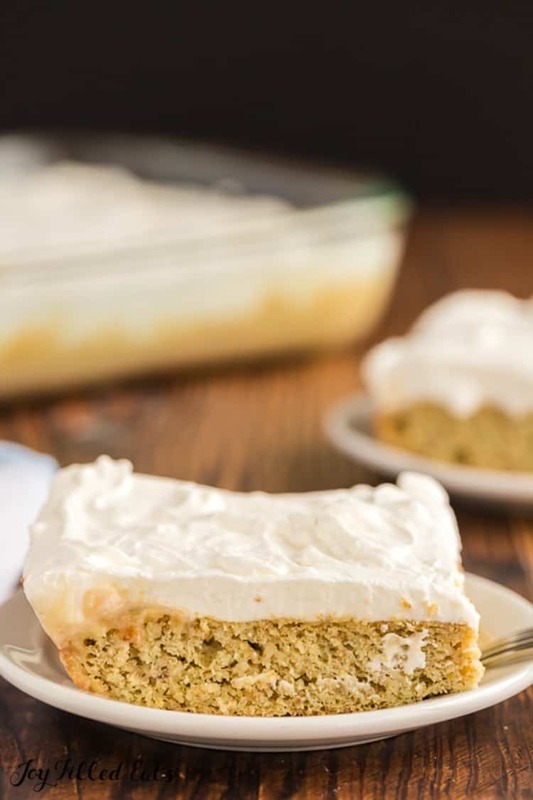 Either way, this lightened up tres leches cake recipe will be a perfect treat to break up your work week. 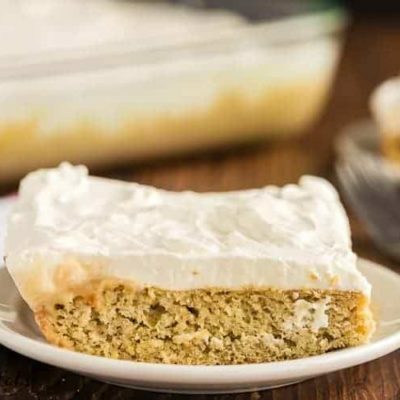 A sponge cake that is soaked in sweetened milk, and topped with whipped cream. Trust me, this recipe is easy to make, and after the first bite, I guarantee it will become an instant favorite. The first time I tried Tres Leches Cake at a Cuban restaurant I fell in love. I knew after that first bite I had to learn how to make tres leches cake at home, so I could have it whenever I felt the craving. With company coming for dinner last night and a sincere desire to recreate this fantastic cake I got to work. A couple of years ago, soon after the Cuban restaurant, I made a tradition flour/sugar Tres Leches Cake. It was perfect. I went back and used that recipe to inspire this one. 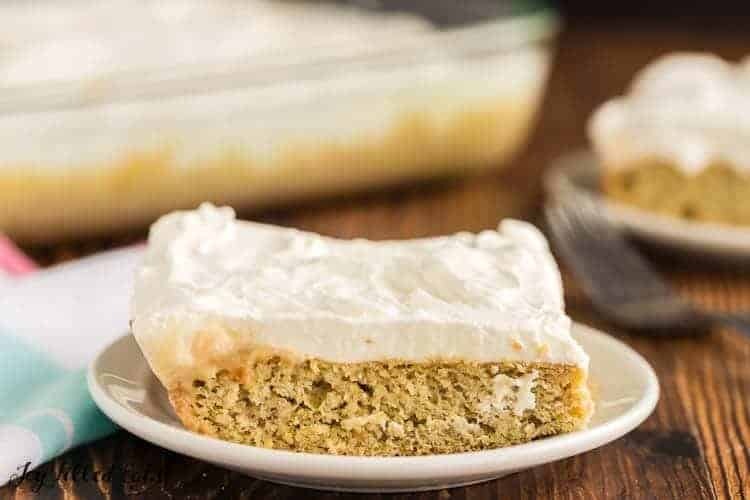 This is loosely based on The Pioneer Woman’s Tres Leches Cake, but my version is low carb, grain & gluten-free, sugar-free, and a THM S.
The recipe turned out amazing, and it is now a cake that gets requested here and there in our home. Whether it be for holidays, birthday parties, or just a treat to serve up to guests, this is my go-to cake. This is an upgraded version of a poke cake. 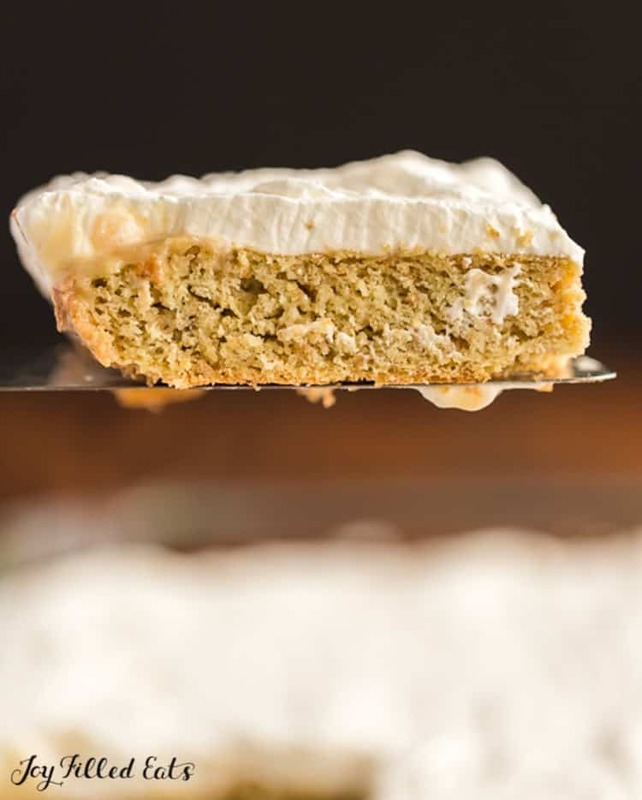 You have the vanilla cake that has a sweet milk base that is poured all over the cake and then topped with some of the most incredible whipped cream I have ever had. It is one scrumptious cake. Tres leches cake means three kinds of milk. Which sums up to be a sponge cake that is very light and airy, that uses three kinds of milk within the recipe. Heavy cream, evaporated milk, and condensed milk and traditionally used. How long will Tres Leches Cake keep? 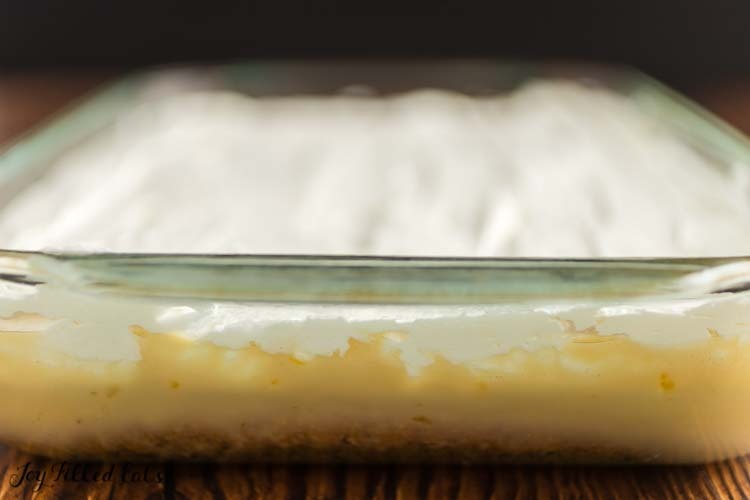 You can expect your tres leches cake to last around 4-5 days in the refrigerator. I do recommend eating your cake within the first two days for the best quality. Put it in your fridge once you are done serving this cake. It will last best refrigerated, because of the whipped topping. If you don’t refrigerate, you will end up with a spoiled cake. With the Tres Leche cake being a poke cake, you run the risk of your cake being a bit soggy as it thaws. If you want to make this cake and freeze, I recommend baking and freezing the cake by itself. Then turning around and allowing your cake to thaw, poking holes, pouring mixture on and then topping with whipped cream when you are ready to serve. That way you don’t run into a soggy mess as it thaws. Just bake cake as directed, and then allow to cool. Then freeze wrapped up in aluminum foil or plastic wrap in your container. When you thaw it out, you have minimal effort left until your cake is ready to serve. 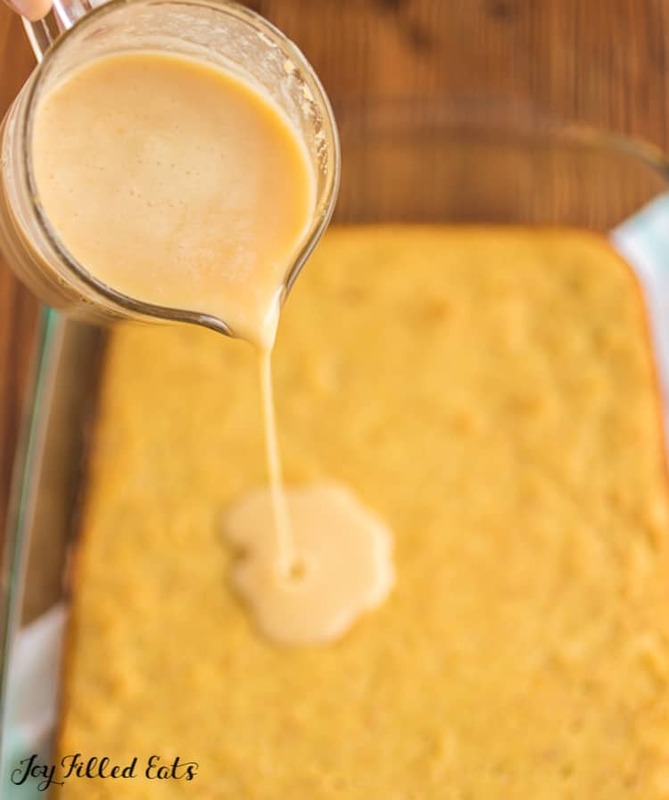 How Do You Make A Sugar Free Sweetened Condensed Milk for Tres Leche Cake? Check out my sugar-free sweetened condensed milk recipe. 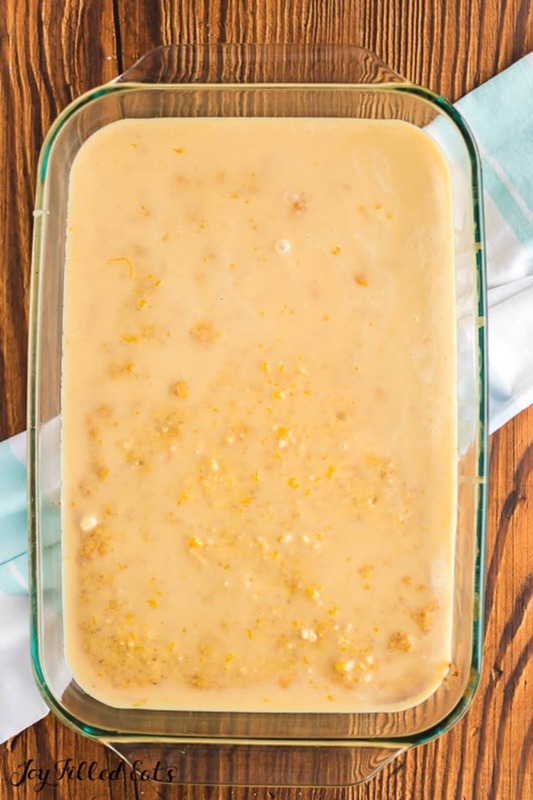 I have found that this recipe works great in the recipe, and any other recipe you might need that requires sweetened condensed milk. This helps to keep it low carb, which I love. One trick I recommend is freezing the bowl you are going to use to whip your cream. Freeze the pan for around 30 minutes to an hour. This will give you a nice and icy bowl, which will offer a more stable whipped cream for the result. By being more stable, that means it won’t break down and turn watery over time like you can have happened. 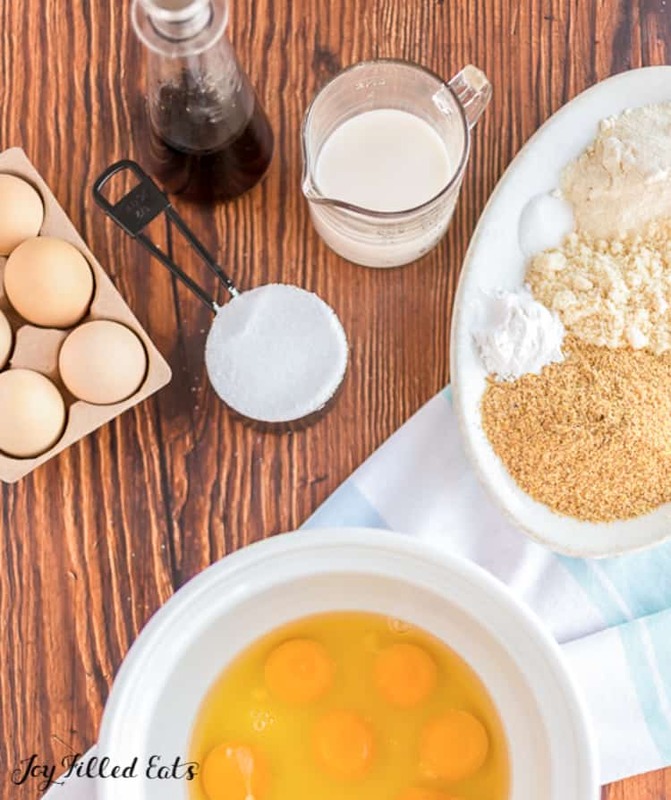 I just toss my mixing bowl in the freezer when I start working on the cake, and then pull it out and start whipping up when I am ready to apply to cake. Give this incredible cake a try for your next bbq, or family get together. We love making this cake as a weekday treat, and I think you will too! Tres Leches Cake is rich and moist soaked with sweetened milk and topped with whipped cream. Beat eggs with 1/2 cup sweetener. Stir in almond milk and vanilla. Add baking mix, baking powder, and salt and mix until just combined. Pour into prepared pan and spread to even out the surface. Bake for 40 to 45 minutes or until golden and slightly firm to the touch in the middle. Cool to room temperature. Allow the cake to absorb the milk mixture for 30 minutes. Meanwhile whip the cream. When stiff peaks form add the sweetener. 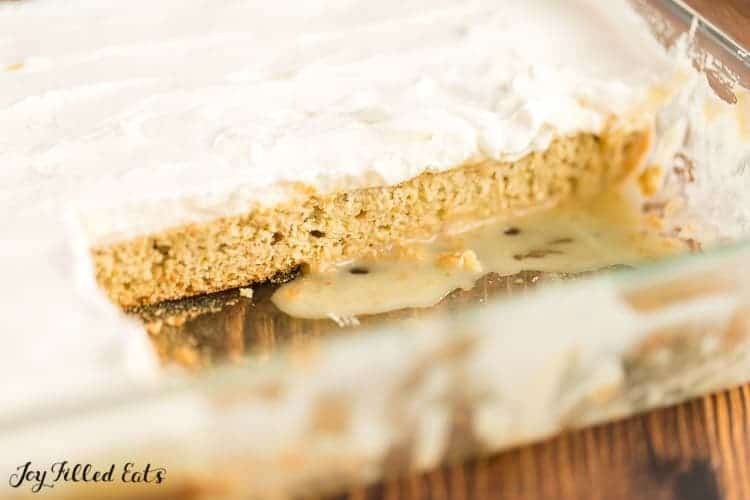 Spread over the surface of the cake, after it has absorbed the condensed milk. Store in the fridge. Originally Published April 10, 2016. Revised and Republished February 19, 2019. How many servings is in one recipe? 12, it is listed at the top of the recipe card. I would like to cut the recipe in half as I am cooking for only one. 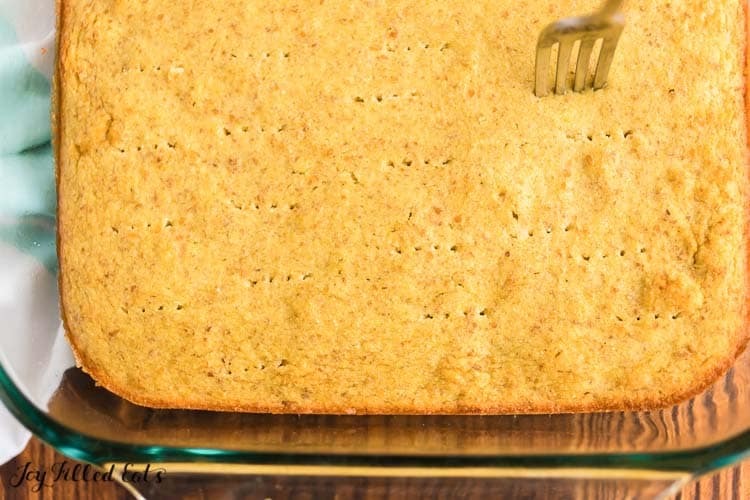 How long would I bake the cake if using an 8 x 8 pan? Thank you for your response! I'd start checking it at 25 minutes. I think it will take 30-35.